African buffalo and calf. 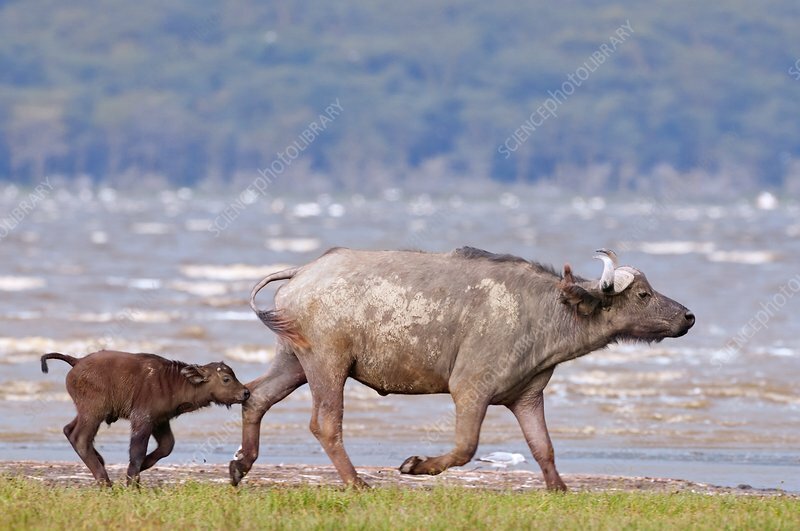 African, or cape, buffalo (Syncerus cafer) are found on the savannahs and woodlands of sub-Saharan Africa. They feed on grasses and other vegetation. Photographed in Lake Nakuru National Park, Kenya.